Times at http://www.acrylicapps.com/times/ for $30 from Leo Laporte. Phun 3.5 at http://phun.cs.umu.se/wiki/News for free from Alex Lindsay. The Misadventures of Steve and Steve at http://www.edpiskor.com/steve.html for free from Andy Ihnatko. Apple Aperture 2 for $189.99 from Scott Bourne. Debt of Honor by Tom Clancy from Andy Ihnatko. Executive Orders by Tom Clancy from Andy Ihnatko. 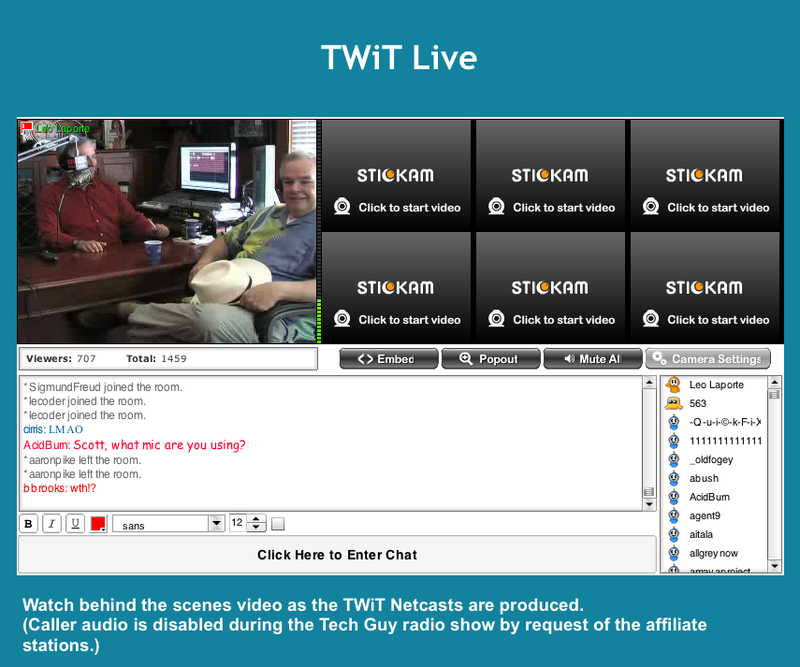 You can catch the show live from the new TWiT studio at http://twitlive.tv. This was the first one I watched and it was pretty brutal with constant glitches, but this is the new frontier! Did you see the live feed? What did you think? Whatcha hiding under that hat Scott? hahaha!